Nokia filed suits against HTC, Research in Motion, and Viewsonic over alleged patent infringements today. In addition to filing a lawsuit against HTC and Viewsonic in the U.S., Nokia also filed a suit against RIM and HTC in Germany. What's more, Nokia filed a complaint against HTC with the US International Trade Comission (ITC). "Nokia is a leader in many technologies needed for great mobile products," said Nokia's Chief Legal Officer Loise Pentland. "We have already licensed our standards essential patents to more than 40 companies. Though we'd prefer to avoid litigation, Nokia had to file these actions to end the unauthorized use of our proprietary innovations and technologies, which have not been widely licensed, " explained Pentland. Nokia states that a total of 45 of the company's patents are being infringed upon and are involved in one or more of the suits. Nokia did not disclose which HTC, RIM, and Viewsonic devices were in violation of the patents, though it did issue a statement indicating some of the infringed processes without mentioning specific patents. The statement read: "Nokia proprietary innovations protected by these patents are being used by the companies to enable hardware capabilities such as dual function antennas, power management and multimode radios, as well as to enhance software features including application stores, multitasking, navigation, conversational message display, dynamic menus, data encryption and retrieval of email attachments on a mobile device." 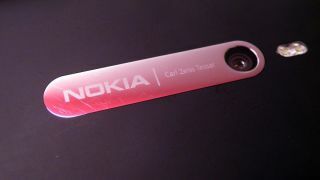 Pentland added, "Many of these inventions are fundamental to Nokia products." "We'd rather that other companies respect our intellectual property and compete using their own innovations, but as these actions show, we will not tolerate the unauthorized use of our inventions." Nokia is no stranger to patent disputes. The Finnish company filed suit against Apple back in 2009 for infringements on multiple patents, which was quickly met with Apple's own countersuit. Though the trial wasn't set to begin until this year, the lengthy litigation finally came to a close when Apple paid Nokia licensing fees in 2011.